Welcome to our Labrador Puppy Training Center. 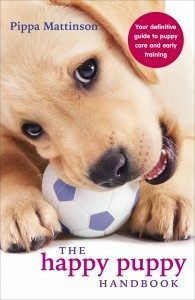 This is your complete guide to training a happy and obedient puppy, with expert advice and clear instructions for new puppy parents. Training your puppy should be fun, and we’ll help to make sure that it is! For many puppy owners, potty training or house training, is the top priority for the first few weeks. You’ll want to know how long it will take, what the best methods are, and how to deal with any problems that arise. Some of you may want to use a crate, and some of you may need information on potty training a puppy when you work. Biting can be a big shock to new puppy parents. Not just how hard and how much puppies bite, but how aggressive they sound when they do it and how much it hurts. Those tiny teeth are sharp! Help, My Puppy Is Aggressive! Start Puppy Obedience Training Now! If you are going to train your puppy with modern positive reinforcement methods, you can start training your puppy as soon as you bring him home at 8 weeks old. The methods we give you on this website do not involve any force and won’t cause puppies any stress. So it is fine for you to get started straight away. In the past, serious dog training did not begin until puppies were 5 or 6 months old. This is because dog training involved quite a lot of corrections and firm handling. Fortunately, times have changed, and dog training has moved on. Most dog trainers now use predominantly modern positive reinforcement training methods and a growing number are what we call force-free trainers. Should I Dominate My Puppy? Most people want to teach their puppies to come when they are called, to sit, to stay, and to walk nicely on a lead. These are all important skills, especially for a large dog. The Happy Puppy covers every aspect of life with a small puppy. I don’t have a labrador but training is just the same. I have a 5 week old German shorthaired pointer / Doberman pincher mix. I had gotten him 4 days ago and he’s now potty trained, knows his name, comes when called and has a schedule he’s learning well. The potty training is simple, but it’s tedious to execute, regardless it’s highly effective and has worked in under a week for all my puppies I did this with. FIRST, take them potty right after eating, right after waking up, and right after an intense play session. This requires you to sleep with your puppy in a small puppy proof area that’s easy to clean in case of accidents. I used my laundry room, but bathrooms and kitchens work well. Expect to be going outside every 2 hours or so. When they do go outside, give that pup some huge praise. Every accomplishment no matter how small is a big deal and you should celebrate it as such with your pooch! Praise training at work. By the second or third night they’ll get the idea and first signal when they have to poop, usually by climbing on you and/or whining. The colon is easier to control than the bladder but keep at it. He’ll start to signal for pees too, soon enough. The trick is to get him outside as soon as they start to signal as they themselves don’t have much warning either. If they wake up in the middle of the night and are wanting to play, play with them after pottying of course. They’ll settle down and go back to sleep. Even after they start to signal do this for at least one week straight to help deeply ingrain this into their little minds. This process not only trains your pup to potty outside but deepens the bond between you and your pooch by some serious strides. This area you do this will be like their den for this training and to canines, that’s an intimate family thing. For puppies younger than 10 weeks this area should be kept dim since the bright/harsh lights can not only tell your puppy it’s play time but it can slow their visual development. I hope you guys find this useful!! Happy tails are wagging tails. I just thought I’d impart some little lessons and wisdom I’ve learned first hand. I hope it helps! good luck! Nice tips! Really appreciate your knowledge about dogs. Thanks for the share! hello , I have a 8 weeks lab brought home we have started the the first immunization to him 4 days back after deworming dose , i would like to know if at this age ( he is on royal canine mother feed ) can we start to dog train him if yes what biscuits are recommended to give him while training him ????? also what are the supplements suggested other then the regular dog food !!!!!!!!!! !